Amnesty, moreover, risks abrogating the �love your neighbor� commandment and biblical standards of justice. It privileges the foreigners who broke our laws to get and stay here, and puts at a disadvantage the poorest citizens, law-abiding employers, and legal immigrants. This doesn�t sound at all like what Romans 13 describes, where the civil government wields the sword of justice to punish the wrongdoer and protect the innocent. We all can empathize with someone who aspires to a better life. We wish the same for ourselves and our children. But there are lawful ways to achieve it. Particularly in light of the utter failure of previous amnesties, the legalization route would constitute the government�s failure to mete out justice. It certainly wouldn�t be merciful, on balance. When government tries to show mercy, it often results in injustice toward someone else. In this case, it�s native-born Americans who�ll suffer government-inflicted injustice. Some 12 to 20 million illegal aliens have broken just, duly enacted laws that deserve to be enforced. Mass amnesty and a failure to enforce immigration laws subject all our laws, to contempt. That is a very high price to pay, because the rule of law protects us all against tyranny. Whenever politicians invoke Christ's name, watch out. They are desperate. There is a little thing called the�Third Commandment -Catholics call it the�Second - it's about using the name of the Lord in vain, eg for your own purposes. From Matthew 5:17-20 17"Do not think that I have come to abolish the Law or the Prophets; I have not come to abolish them but to fulfill them. 18I tell you the truth, until heaven and earth disappear, not the smallest letter, not the least stroke of a pen, will by any means disappear from the Law until everything is accomplished. 19Anyone who breaks one of the least of these commandments and teaches others to do the same will be called least in the kingdom of heaven, but whoever practices and teaches these commands will be called great in the kingdom of heaven. 20For I tell you that unless your righteousness surpasses that of the Pharisees and the teachers of the law, you will certainly not enter the kingdom of heaven. Jesus also said, "Render to Caesar the things that are Caesar's, and to God the things that are God's" (Mark 12:13-17; the same passage appears, slightly modified, in Matthew 22:15-22 and Luke 20:20-26). I think these show that Jesus could be decidedly respectful of secular and religious authorities when it came to everyday practice. I do not think he would condone millions breaking immigration laws and practicing tax evasion. He was willing to set aside Sabbath laws in emergencies to heal or help the afflicted, but he did not say the laws were to be routinely discarded. His message about the spirit of the law being more important than the letter of it was not intended to condone lawlessness. He did not advocate that the impoverished Jews of his homeland emigrate en masse to Rome and demand the rights of Roman citizens. He wept for their suffering, but he never advocated their breaking laws or taking what they longed for from others. We let people in who have talents or skills that we want more of, or people who are victims of horrific political oppression. In the past, when there were fewer of us, we could let in people who just wanted economic opportunities, but these days we have to consider the people already here, and how more immigrants will affect them. 'You shall love your neighbour as yourself' (Leviticus 19:18). Rabbi Akiva says: This is the greatest principle of the Torah. Ben Azzai says; 'This is the book of the generations of Adam' (Genesis 5:1) is a greater principle. "the generations of Adam" implies that all human beings are important as each other. "Love thy neighbour is too vague". maybe it is too simple,too direct. most people know the difference between right and wrong. even in fairly complex situations. we know the behaviour is wromg and do it anyway. it's the self-justifications that do us in. The only vagueness of loving thy neigbor is contained in narrowness of mind and unwillingness of spirit. Only Jesus can save us- everything else is useless. All other religions are demonized? Islam, buddhism, etc. - because they do not have Jesus, salvation through Jesus? We do not feel anymore anything? We see poor homeless people, junkies, etc.- and we walk by without even thinking about those people. We see our cell phone, but nothign else. We have violence, being 'hard' or 'heavy'- culture, 'no emotions'-culture or 'show no emotions' - culture. From where this all comes? It is satanic life style, introduced us by TV, entertainment, etc. "LaVey ... sees television as the major mainstream infiltration of the new Satanic religion." Modern immigration of those demonic religioons is created by satanic world elite- in order to destroy christian life style- and destroy christians? We get huge immigration of islam,oriental cultures and latinos, catholics. All these lack Jesus, and therefore they are demonic? You can see this yourself. These people harass other people? These people do not hesitate to use violence if needed? They lie- are very nice or quiet, if they are alone- but if they are majority, they change in one second being angry or hostile? Note that this immigration also changes our western democracies totalitarian obey-culture states...= satanic obey-cult? This immigration from barbaric culture countries consists of people, who have no slightest idea about democracy? Their only idea about state is to obey some dictator? = satanic new world order's ideal? = Freemasons have no Jesus,= demonic?, and that is why they use their high politicians in governments and send these immigrants into our countries? 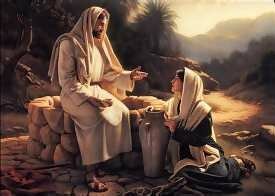 You can download great movies about God and his past life through http://downloadmoviesfree.net/ and its for free. Isn't nice to hear God's words in movies.